The Lesbian "Left Behind" Concludes! Fundamentalists and conservatives of all stripes have joined to turn the United States into the New Republican Nation in the very near future. Having voted themselves into power, they proceed to pass restrictive and repressive legislation so that soon the situation in the NRN begins to look like that of Afghanistan under the Taliban. Women have once again been barred from the workforce and government schooling brainwashes girls to grow up to be wives and mothers. 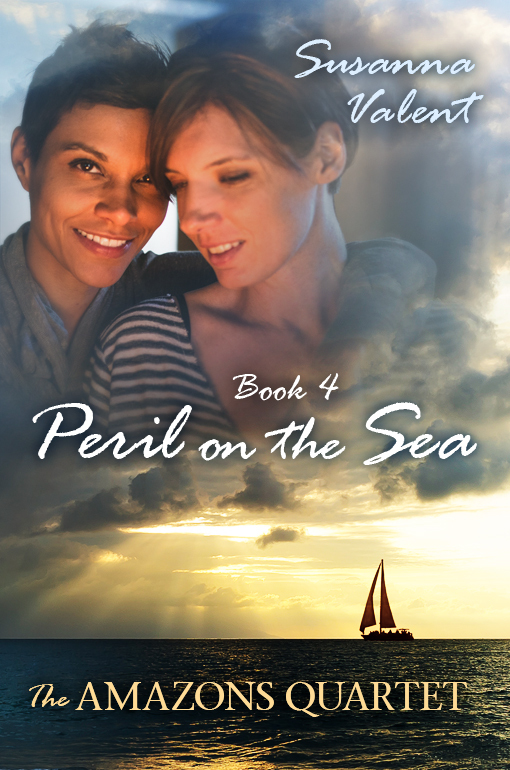 Lesbian Coast Guard captain, Kris Nordstrom, escapes to California aboard her cruiser, where, with her two like-minded lovers - Andrea Santiago, a marine engineer, and Nicole Gervais, an astronomer - she gathers together many other women who can't tolerate the oppression. Now, with the NRN putting pressure on California, Kris and her friends have found a ship big enough to get them all away safely to Europe -- and to freedom. But things are crumbling faster than they realize, and with the obstacles in their way, they may not be able to flee before the NRN places an embargo on all outgoing ships, trapping them under its control forever. Love, lust, politics, helicopter rescues and a shootout highlight the concluding volume of this extraordinary quartet of novels.